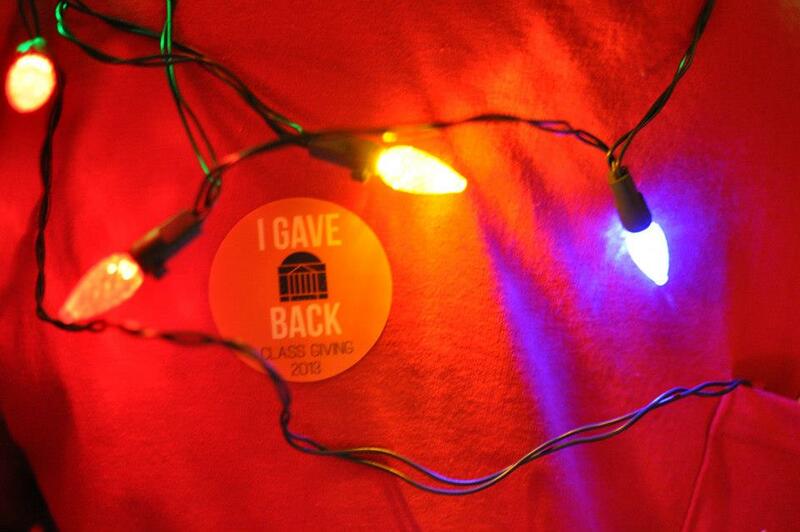 February 15, 2013 by Kristen H.
By this point in the year, we’ve all heard about the Class Giving Campaign. Not only is “make a class gift” the fourth item on the List of 113 Things To Do Before You Graduate, but as Fourth Years, the requests to give seem present everywhere we look. From Facebook statuses and cover photos to emails to Trustees events specifically aimed at spreading the word about the campaign, we have heard about class giving multiple times. Anyone who went to pick up their graduation apparel at last week’s Cap and Gown Week was likely bombarded by five or more Fourth Year Trustees, eager to explain the benefits of making a class gift. Cap and Gown week garnered 1060 pledges and gifts from the Class of 2013, the highest amount of gifts that any class has ever received during this annual event. This raised the class’s giving participation rate to 53%, the highest that any class has ever reached at this point in the semester. The Class of 2013 is well on its way to making UVA history as the class with the highest percentage of graduating students giving back to the university. 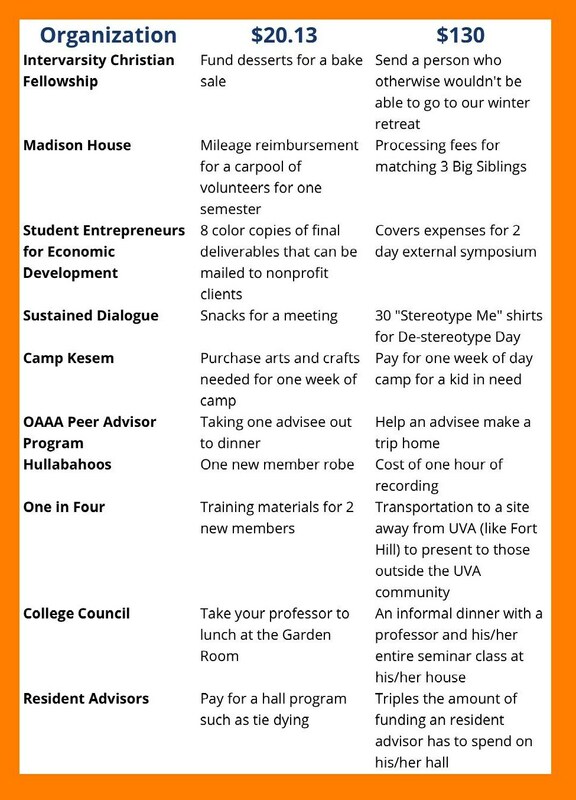 So, a lot of us are giving back to UVA—but what exactly do our gifts do? The most popular amount given is $20.13, the nominal amount recommended by the Fourth Year Trustees. To many, this may not seem like it would make a difference. If you have ever taken the time to listen to a Trustee’s spiel about class giving, you know that every gift matters—and that the University is in dire need of our support. So how exactly do class gifts help the university? One of the factors that US News and World Report bases their rankings off of is the percentage of graduates who give back—participation rates serve as a representation of alumni satisfaction. In this sense, every little gift counts. Some of the Ivy League schools like Princeton ask their students to start giving back as early as their Freshman year in order to create a culture of giving. 2. Private support is necessary to sustain the university. In reality, tuition makes up only a small portion of the necessary costs to keep the university running. 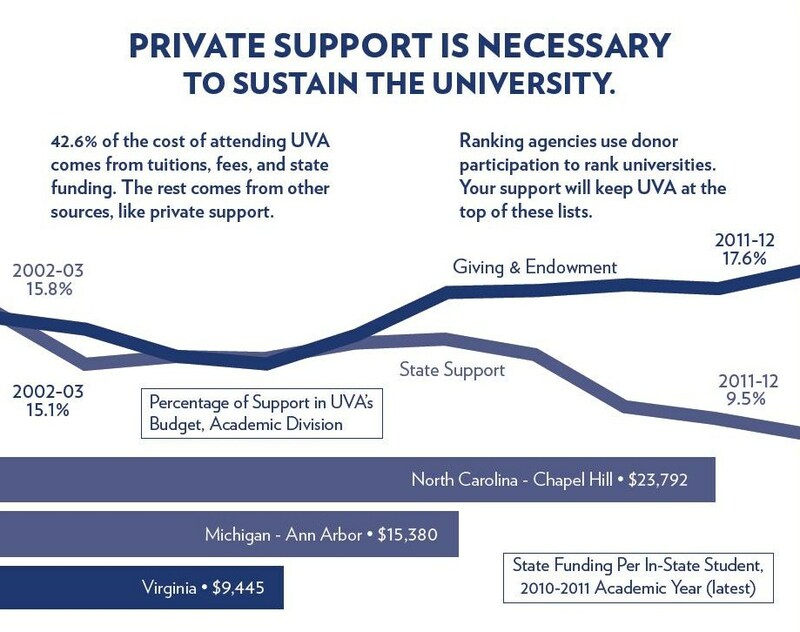 As evidenced by this photo from the class giving campaign packet, UVA relies on private donors to stay alive. 3. Individual schools at the University have very unique needs, and a gift to a specific school goes a long way in helping to reach goals. One of the major issues evident this year is in the College of Arts & Sciences—the College is at a stage that some categorize as a crisis. Due to an impending age bubble and the poaching of prestigious faculty members by Ivy League schools, UVA will be facing a major shortage in professors for the college. Over the next few years, UVA will have to replace 40% of its current faculty members—the equivalent of hiring a new professor every twelve days over the next five to six years. The Faculty Challenge is just one of the campaigns that a class gift can go towards benefitting. 4. 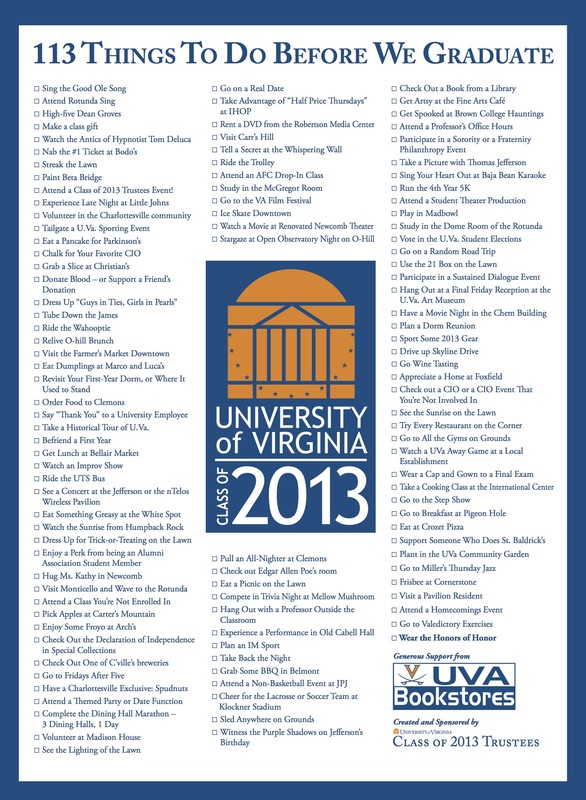 Your gift can go to anything on grounds, meaning that you can specify exactly what part of UVA you wish to support. You can split your class gift up anyway that you like, and you can give back to any organization on grounds that has a bank account. Loved your experience with a particular CIO or group on grounds? You can easily make your gift to that organization, allowing future Hoos to have an even better experience than you did. This chart explains how your gift can help specific organizations that you give back to–every little bit can help! Making your class gift is easy, and every little bit counts! Check it off the list by going to classgiving2013.com! ← #26: Take a Historical Tour of U.Va.